Your UNANet account username and password is used to log into FirstClass, DMS Web and UNA apps. 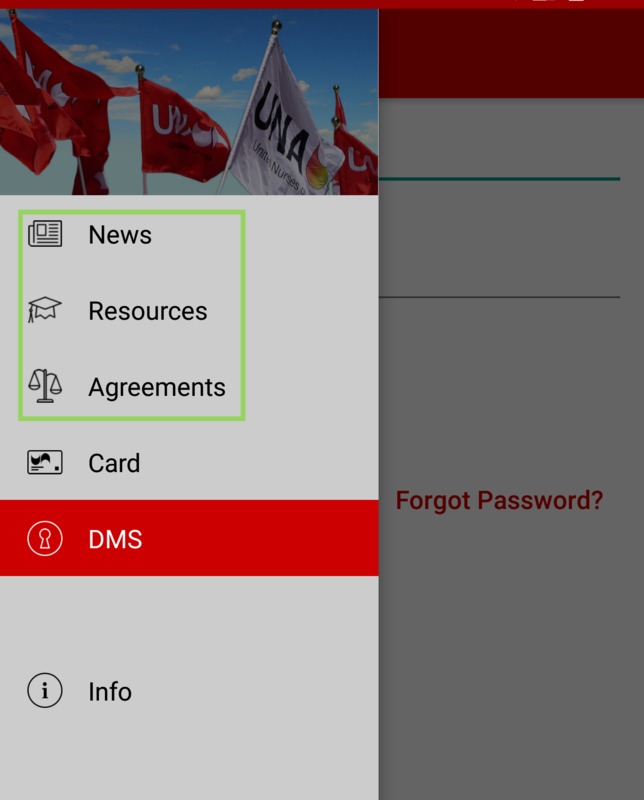 Tap on the menu button in the upper left corner to open the app’s menu. Tap on News, Resources or Agreements to access Report a Concern. 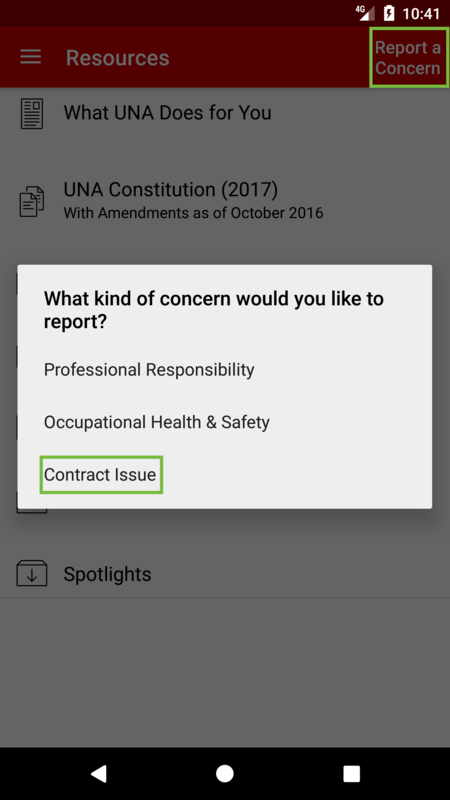 Tap on Report a Concern and a menu will open allowing the choice of Professional Responsibility, Occupational Health & Safety or Contract Issue. Tap on Contract Issue. 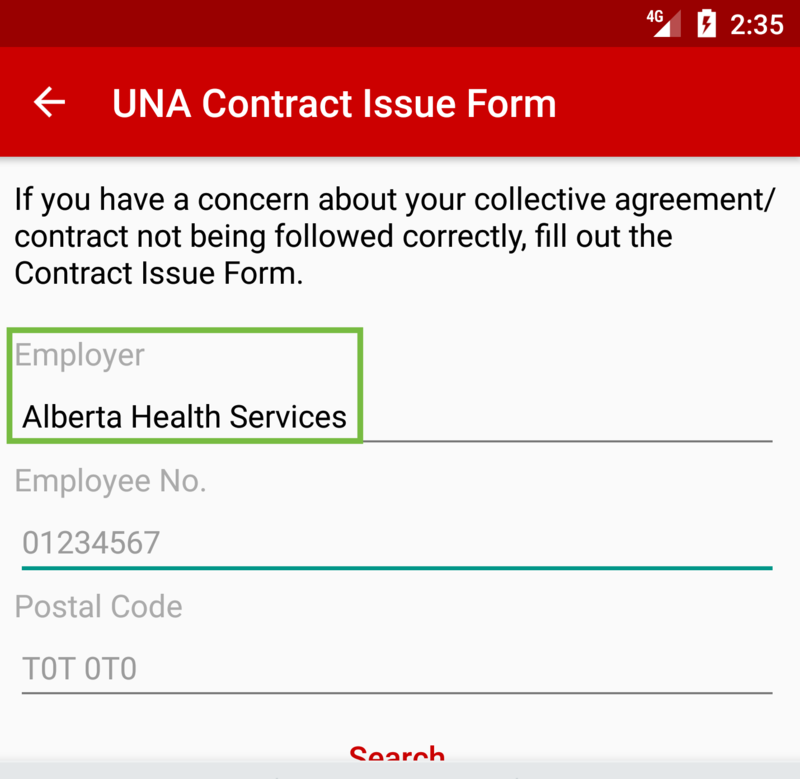 UNA Contract Issue Form will open, in the Employer field tap and a list of Employer’s will open scroll to find the correct one and tap to populate Employer field. 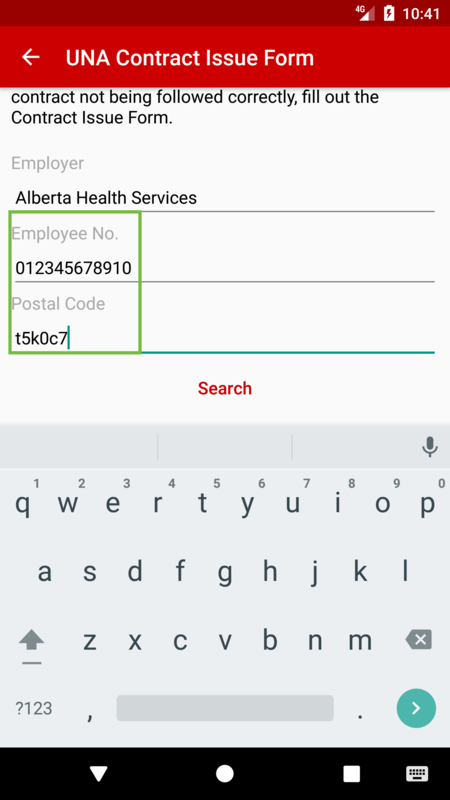 The next two fields that need to be entered are Employee No. 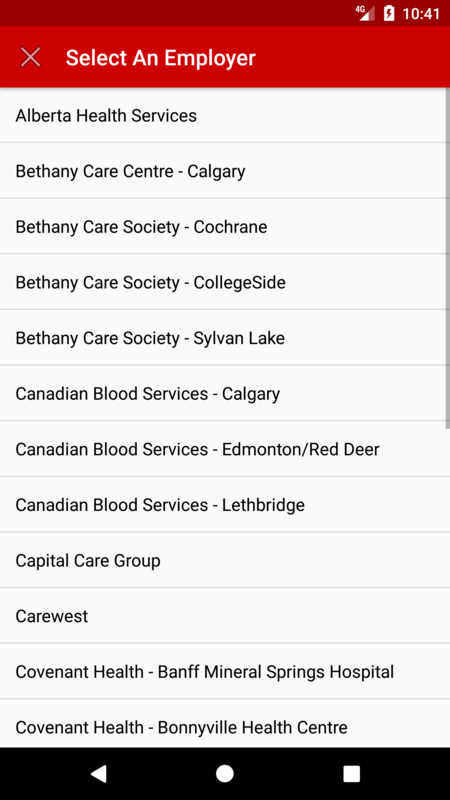 and Postal Code. This information is what the Employer has on file for you. 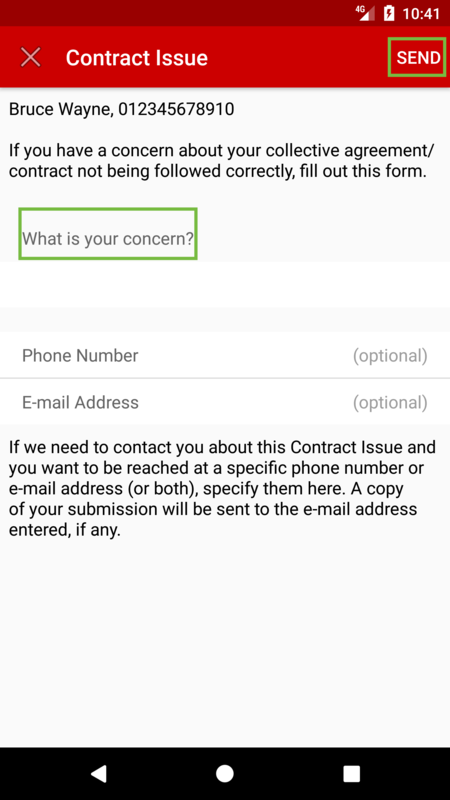 Next screen is Contract Issue, enter in your concern and optional to enter in Phone Number and E-mail address. Once that is all completed tap on SEND. 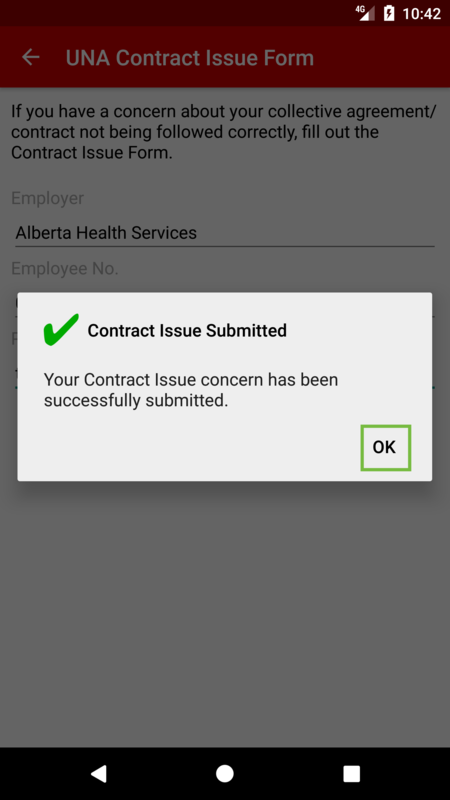 The Contract Issue Submitted, screen will appear tap on OK.